So you want to install Exchange 2016 into your existing organization, and you’re running Exchange 2010 today. In this miniseries, we’re going to go through exactly that. If you have 2003 or 2007, you’re too far out of date and will need to get to a current version. If you’re on 2013, a lot of this will be similar, but we’re focusing on the 2010 audience since they are the ones who most likely will want to upgrade to 2016 now. In our first post, we’re going to go over what it takes to get ready. Pay close attention to the required patches for Outlook 2010 and Outlook 2013. No patch-no work! You really don’t want to introduce Exchange 2016 into your org if you have any clients that are not compatible with Exchange 2016. Given the likelihood that your ADSS is not perfect, odds are really good an unsupported client will wind up trying to use a 2016 CAS, and it will fail. Exchange 2016 is going to require an extension to the Active Directory schema. This shouldn’t come as a surprise, but just in case, yes, you need to extend the schema. If that means bribing the AD admins and getting a CR in place, get that going now. Then, make sure you’re current on all your AD care and feeding tasks and that you have no replication issues. Extending the schema is really not as scary as everyone makes it out to be, unless you have replication issues, in which case this is not the time to discover that. Use repadmin to test your replication, and resolve any issues that it shows. Assuming you are good to go here, the next step is to extend the schema. You need to be an Enterprise Admin and a Schema Admin, and you need to run the process on a server in the same AD site that the Schema Master is in. You will be connecting to the Schema Master to do this, so if the Schema Master is in a different datacenter, and you don’t want to transfer the role to a DC local to you, remote desktop into a server that is local to the Schema Master. RDP is much faster than LDAP! You will need to use a 64bit server or workstation, and install the .NET Framework 4.5.2, and then the RSAT tools. Once you have that, download Exchange 2016 from https://www.microsoft.com/en-us/download/confirmation.aspx?id=49161. Then, to actually extend the schema, do this. 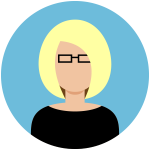 If you are not logged on as a user who is a member of Schema Admins and Enterprise Admins, open a cmd-prompt using “Run as different user.” If your account is in the right groups, just open an administrative command prompt. Change to the directory that has the Exchange 2016 setup files. This will take some time to run (don’t have dinner plans). Once it completes, use repadmin as above to confirm that replication to all your domain controllers completes. Depending on how many DCs you have and how far away they are, this may be an overnight or an over weekend process. Don’t rush. There are a significant number of changes to AD introduced by Exchange 2016, but all of them are for Exchange. Standard AD functionality won’t change. If you want to see everything that Exchange 2016 puts into AD, see https://technet.microsoft.com/en-us/library/bb738144(v=exchg.160).aspx. Once the schema changes have replicated, you can then move on to preparing Active Directory. Using the same account and in the same command prompt (only Enterprise Admin rights is required now, but you’re already there…) do this. This too will take some time to complete and then replicate. Use repadmin to confirm. Then, you can prepare the domains. I like to prepare them all at once. 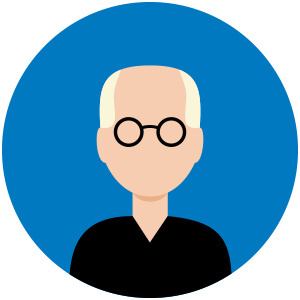 It’s easier, faster, and really, do you have domains that won’t use Exchange? You know what comes next…let it run, let it replicate, confirm replication is complete. Then confirm you are really ready to go. Fire up ADSIEDIT, and browse to the appropriate locations from the table below and verify the values. At this point, you are ready to proceed. Check back soon for the next article in this series! What happened to the follow-up articles? We will be publishing more in the coming weeks. Hello there, We run a full Exchange 2010 environment. Currently, we are in the process of replacing our 2 2010 Edge servers with 2 new Exchange 2016 Edge Servers in a different DMZ. I found articles confirming that this is valid, but nothing indicating that the Active Directory Work is required if only the Edge servers are 2016. 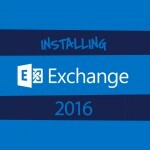 You need to prepare AD for Exchange 2016, even if only for Edge Transport. Thanks for the quick response Cas! That brings up one more question then. I’ve already installed the SW on the Edge Servers (but haven’t created an edge subscription yet). Can I run the AD prep now (after the fact), or do I need to run the AD prep and then un-install / re-install the 2016 Edge SW again from scratch? We are going from Exchange 2010 to Exchange 2016 and needed a little info. When preparing the domain for 2010, we only did so at the forest root. As we have some child domains, we want to use the /preparealldomains option in 2016 to get them all ready. Any issue with running this on the child domains that weren’t prepared in 2010? Thanks for any reply/info for this scenario. No, no issues there. AD preps are additive.